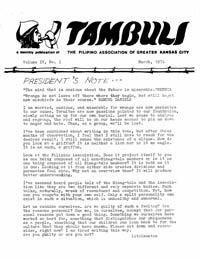 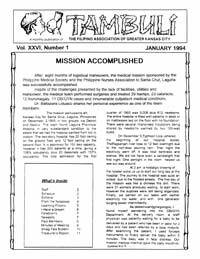 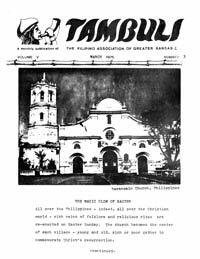 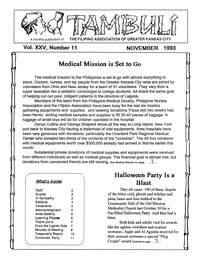 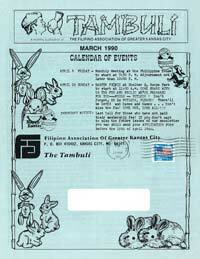 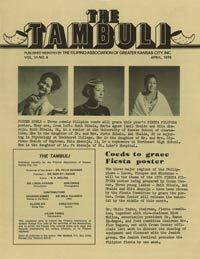 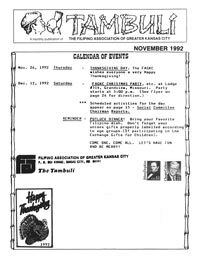 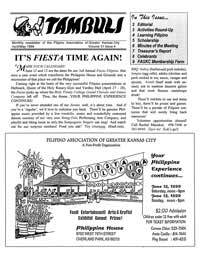 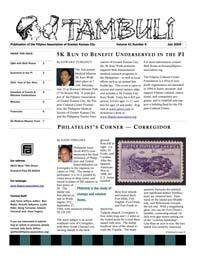 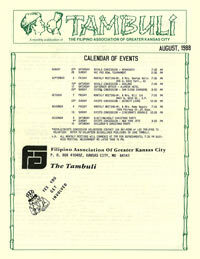 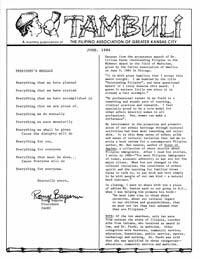 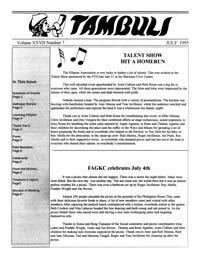 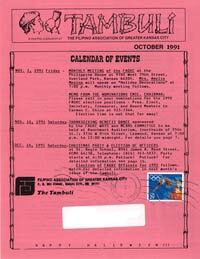 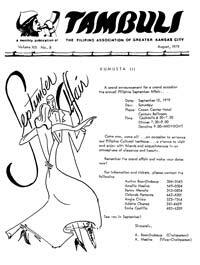 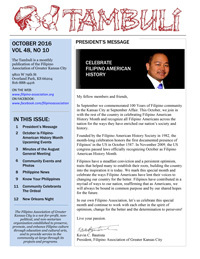 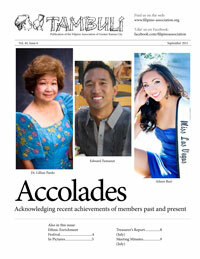 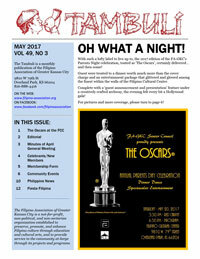 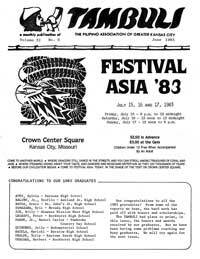 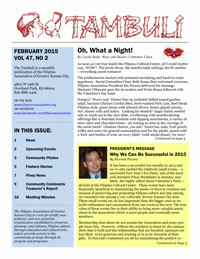 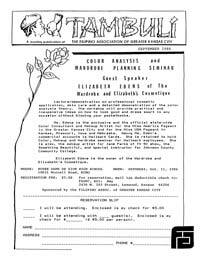 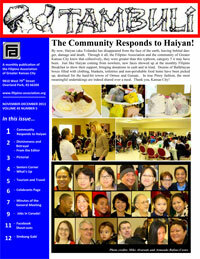 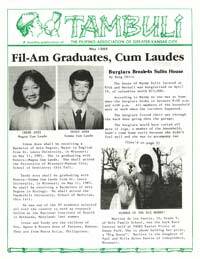 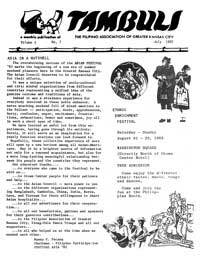 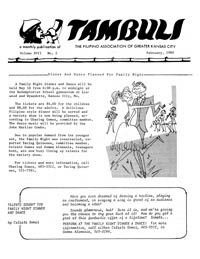 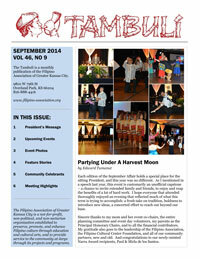 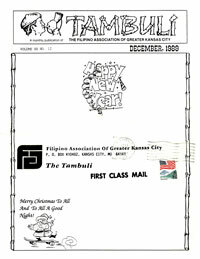 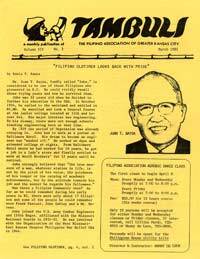 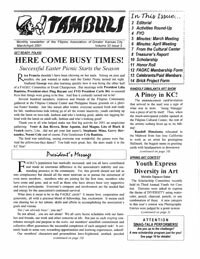 Download past issues from our archives, dating back to the Filipino Association's humble beginnings in 1971. 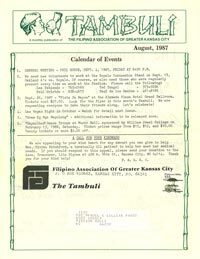 Thank you to Dr. Manuel Pardo for graciously lending his collection. 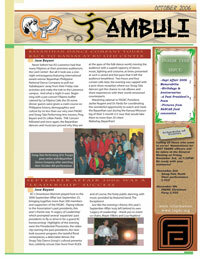 E-mail us if you have information regarding missing issues. 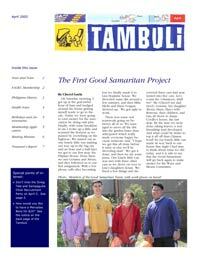 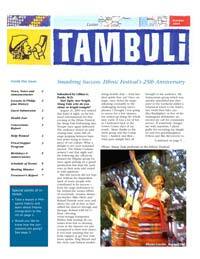 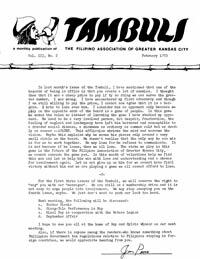 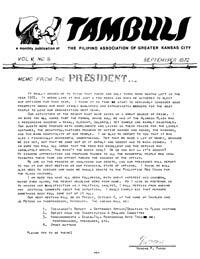 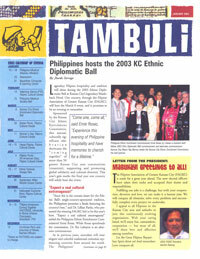 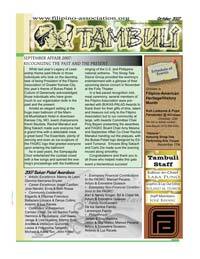 The complete Tambuli Archives (not including missing issues) are available to purchase on CD/DVD. 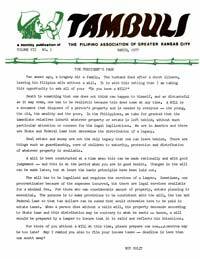 Proceeds go to the FCC Building Fund. 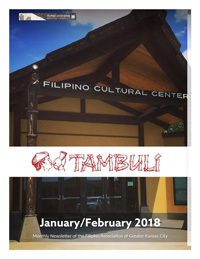 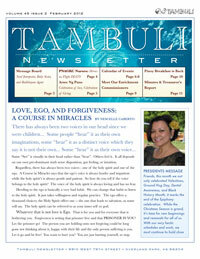 E-mail us for more information.